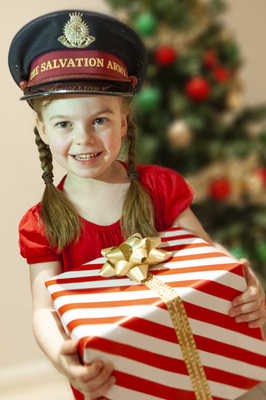 This Christmas, The Salvation Army is encouraging Pakenham locals to connect with their community – whether it is through participating in Christmas activities, giving a hand up to someone in need, or reaching out to the Salvos for help. Christmas is one of the hardest times of year for Australians doing it tough, but Pakenham Salvation Army Officer Lieutenant Dale Saunders says just a small contribution can make a big difference in helping us to give hope where it’s needed most. “For just $29 you can provide food on the table and a present under the Christmas tree to help give hope to someone in need this Christmas,” Lt Saunders said. Research from The Salvation Army has revealed that 95 per cent of all households who access the Salvos emergency services are living in poverty, with 74 per cent experiencing food insecurity and 67 per cent reporting that food affordability is their greatest daily challenge. Christmas is the busiest time of year for the Salvos. 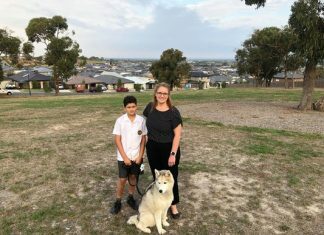 Not only is The Salvation Army in Pakenham running its annual Christmas Cheer operation, to provide toys and food for those in need, it is also putting on a community carols event and preparing for a special Christmas Day service. On Christmas Day, The Salvation Army is inviting the public to gather to celebrate the hope and joy of Christmas at a service from 9.30am at The Salvation Army Pakenham, 51 Bald Hill Road, Pakenham. Everyone is welcome to attend. A sausage sizzle will be on from 5pm. Pakenham locals are also invited to attend The Salvation Army’s carols service at 5pm on Sunday, December 16, at The Salvation Army Pakenham. “Whether you are by yourself, or with friends and family, Christmas is a time that is best spent together. So join us, so we can share the true spirit of Christmas,” Lt Saunders said.